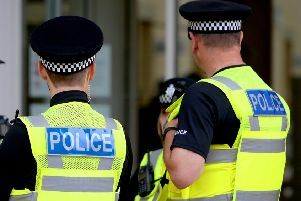 Lincolnshire Police are appealing for witnesses after a burglary at Roughton, near Woodhall Spa. A spokesman from Horncastle Neighbourhood Policing Team said: “We received a report of a burglary at Moor Lane, Roughton, that occurred on Monday, January 28, between 6.50pm and 11.30pm. “Offender(s) had forced access through the bottom panel of a UPVC door. “Jewellery and cash were taken. If you witnessed anything, and/or heard anything suspicious in the area on the day or between 6.50pm and 11.30pm, call 101 quoting incident reference number 452 of January 28. Alternatively, email control@lincs.pnn.police.uk with incident reference number 452 in the subject box. You can also report any information to Crime Stoppers anonymously on 0800 555 111.